If it is assumed that only a very few dealers can be trusted (through lack of expertise rather than lack of ethics), maybe it would be easiest to build / maintain a list of those. Each copy is digitally and visually unique for security, but I agree about the information thereon. However, it comes back to the diminishing returns for the fakers. If they can get past 90% of their potential market, why bother to work twenty times as hard to try to get closer to 100%? I'm confident that many of the aspects identified are effectively impossible correctly to reproduce. Maybe there's a business opportunity for an online verification service? You identified the Finnish watch as having issues from a few pictures so it's likely even more could be done over something like Skype. Any dealer could start a Skype call to your trained staff who could offer an opinion (chargeable, of course). You can even see that it wouldn't take long for the suggestion that a watch brought in to a dealer was going to be referred for verification would see them leg it out of the door. I am mega worried to say the least, would weight of watch be known as most fakes weigh less than the real watch? Usually, those who deal in watches but don't know what they are doing are both too lazy to start learning and too mean to pay an appropriate fee. There is a strong argument to let them sink and for many the last 12 months has seen expensive lessons meted out. Perhaps there are some who would be willing to use such a service, but who with the right level of knowledge has the spare time to be able to assist on demand, which is what would be required? I can see many problems, for a poor return. First, one needs to compare like with like. Weighing a watch on its bracelet is potty, as links are of course added and subtracted. To be of any use, one must have a constant, such as "head only, without spring bars." Now, as much as twenty years ago I remember the fakers putting ballast into fake watches to make them weigh the right amount. It's hardly difficult. So, one might use the fact that a watch head does NOT have the correct mass to show that it is probably fake, but do not be misled into thinking that the correct mass proves it is real. Personally, I think weighing a watch is a crude technique. It can work in some ways, but there are better and definitive means of assessing the individual components as one must. I've heard of watches being switched in a airport dealership and on one of my visits to Turkey about 15 year ago I was offered a gold Rolex sub in a jewellers I used to visit when ever I was on holiday there, he wanted at the time £1500 for it and told me it was fake but that some of the parts where genuine so as to fool buyers, I said whats the point in buying and he said the gold value back in the UK would cover the cost, I never bought it. Anyone who knows what to look for will spot the fake movement immediately, but obviously this requires the back to come off. Are these always being sold as fairly new watches, or are they backdating the cards to make them look like they are s couple of years old? It's available only to members of the trade who are of demonstrable bona fides. 20% to the tz-uk fund-raiser if he does. Best money I spent for a good while buying the super fake document from you Haywood. The fakes are getting better and better which is a huge concern for us in the trade. 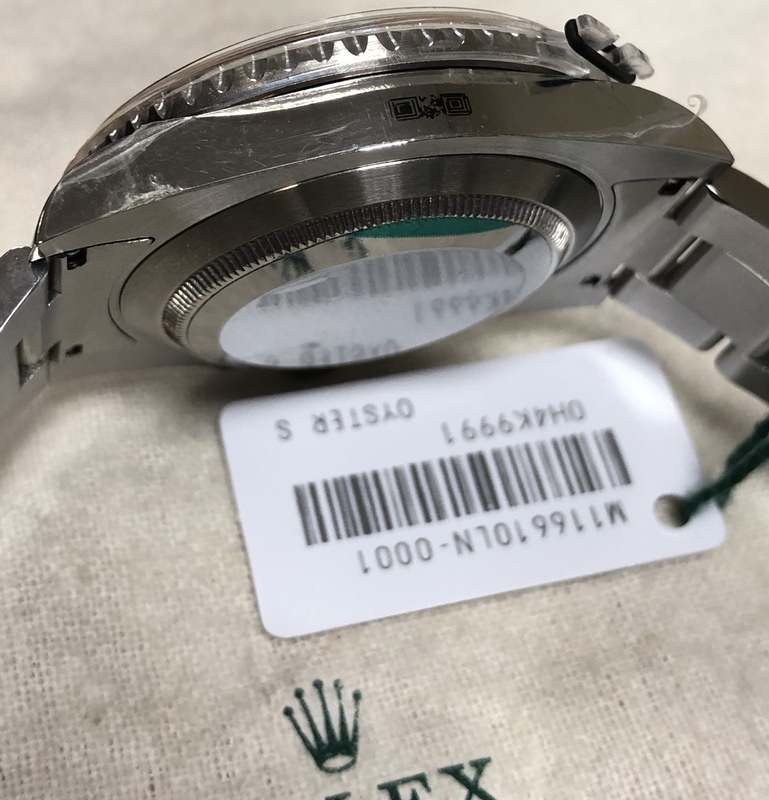 With some of these fakes you really do need to know what you are doing and require very close inspection with a loupe in various giveaway parts of the watch, the differences are minuscule on some parts like the Lasered glass, it really is the fine details that are the giveaways. Same goes for the warranty cards, fine details show the fakes to stand out quite clearly. 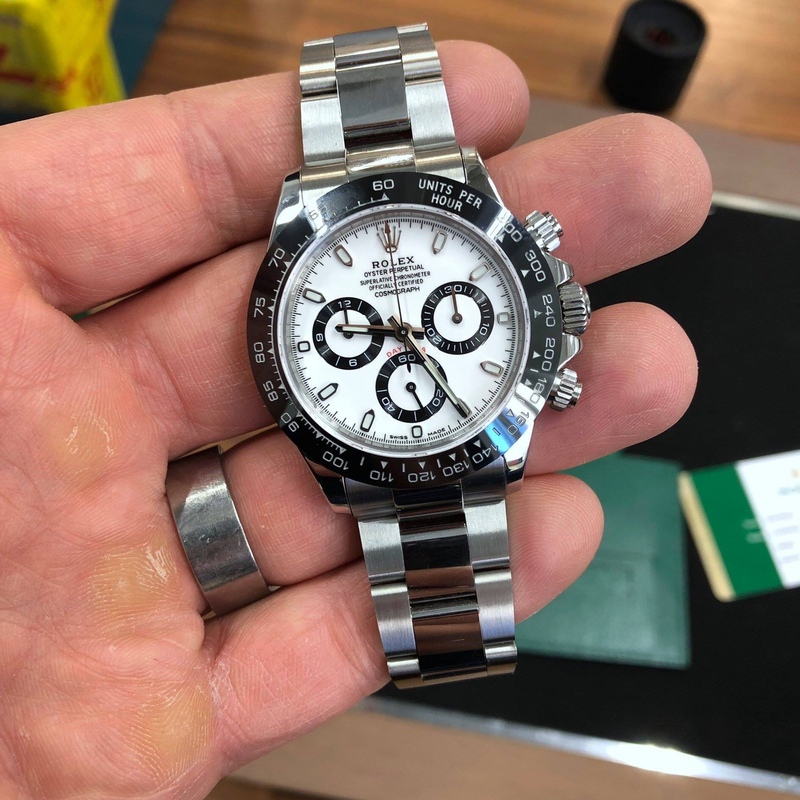 If someone knowingly or unknowingly took a Rolex “super fake” to a Rolex AD to trade in against a new watch, would the AD spot it for the fake it is? If not, then that fake could end up amongst the used/second hand stock. Until now, I thought that buying a used Rolex from a Rolex AD was one of the safe options to acquiring a used watch but I’m not so sure now. If you live in a region with limited Rolex ADs then this is potentially a serious issue. The dial colour/finish looks rubbish to my eye, just the over all glancing initial ‘wow’ factor. I find with watches the initial look counts for a lot. Same with vintage Seiko’s now, the pogues & pandas. If in any doubt with the initial glance they’re no doubt fake. If you have to start looking at the details it’s already over. Obviously I’m just talking about the initial look but it’s amazing how good the brain is at things feeling off when you’re tuned into them. I still don’t get the whole “don’t tell them your name Pike” thing with not saying the details. Even my Mrs could sit there and play spot the difference if she had the real thing as a reference, you know like the fakers would. The fakers know all the differences better than most people trying to authenticate them. Saying “don’t point out the differences as it tells them where they’re going wrong” is pretty daft surely? There’s a couple of people that always do this on Rolex forums. The silly thing is the fact that they call a piece out as fake is all anyone watching would need to know to improve their game (if anyone really needs to be watching a forum to know their copy isn’t perfect) and they sure as hell know the areas themselves. The only people who’d be educated on the differences would be the people who don’t really care, people reading who just don’t see the details or are just marvelling at the copy. I’m interested in what people think about so called genuine Rolex movements ‘flooding the streets’ in the US? (words of an authenticator on TRF) News supposedly circulated by some authentication service. If you want to learn how to identify a fake and wouldn't be granted access to Miltons document I'd suggest having a look at the replica watch forums, they are perhaps more obsessive about the minute 'tells' that identify a fake and endlessly argue about which factory produces the best base to build their frankenwatch on than many a WIS. A quick google reveals multiple threads regarding warranty cards for example. On the subject of warranty cards I'd certainly like to know if the electronic version supplied by Breitling has been faked successfully. That particular Daytona in the OP is rubbish. There’s much much better out there that playing spot the difference would be very risky where thousands of pounds are at stake. Why? because the fakers would know how to make improvements to their fakes. The fakers already know where their goods are lacking. The only people losing here are buyers who are being conned. This fake Daytona was offered to a Finnish dealer. Be careful when buying pre-owned. Those hands have been cutting fire wood? I wasn’t referring to myself wanting to know about it, I was meaning I don’t understand why people say “we can’t tell you the details” when people inevitably ask on these types of threads. Ultimately these super fakes are made to either be sold to people who for some reason would spend quite a large amount of money knowing it’s fake (which is silly as even the dial looks rubbish) or they’re made to deceive people that aren’t experts and may fall for the “too good to be true” deal so why not educate everyone. Reason being IMO is that experts can guarantee their stock’s authenticity and have an edge over buying private (fair enough) and authentication companies like the one in the states that people pay to sign up to can exist. This is my point too. Using the line about not letting them know is laughable. They will know exactly where they’re going wrong as they’re the ones trying to copy these things with the resources they currently have. Interesting and rather alarming thread. I wonder how far we are off manufacturers embedding chips in the watches that can be scanned to validate authenticity. Yet even those who may be able to remove a case-back will usually be put off when the fake is presented, as here, apparently still in delivery stickers ! That's about the sixth fake I've seen in a year as if "unworn in stickers." Fake swing-tag, fake bezel protector, side stickers bearing digital coding block and sticker to case back. It's clear that knowing how to spot fake parts before the need to remove the back arises would be useful. As for those who are insisting that there is no harm in sharing all the identification tricks that one might know, I disagree completely. It's worth considering that their stake in this discussion compared with mine is rather akin to the level of commitment the hen has to your cooked breakfast compared with that of the pig. If the baddies knew where they were going wrong, why do you think they keep doing it? If it's so easy just to copy a genuine one in all aspects, why haven't they? Identifying what we might look for would allow the baddies to target those areas specifically, wouldn't it? There's nothing smug about it. Dealers and collectors have for many years protected information that they consider sensitive and it is, I believe, to the benefit of all that this is so. Last edited by Haywood_Milton; 8th February 2019 at 16:26. As has been mentioned, I think that they only need to counterfeit the “tells” sufficiently to fool 90% of the population, and economy of scale dictates that it would be impractical to counterfeit everything possible. Still, keeping some of the common goofs on a need to know basis helps authenticators stay in the lead in this race. If a baddy swaps the dial, the bezel, the bracelet, all valuable parts in their own right . . . how would your chip help ? 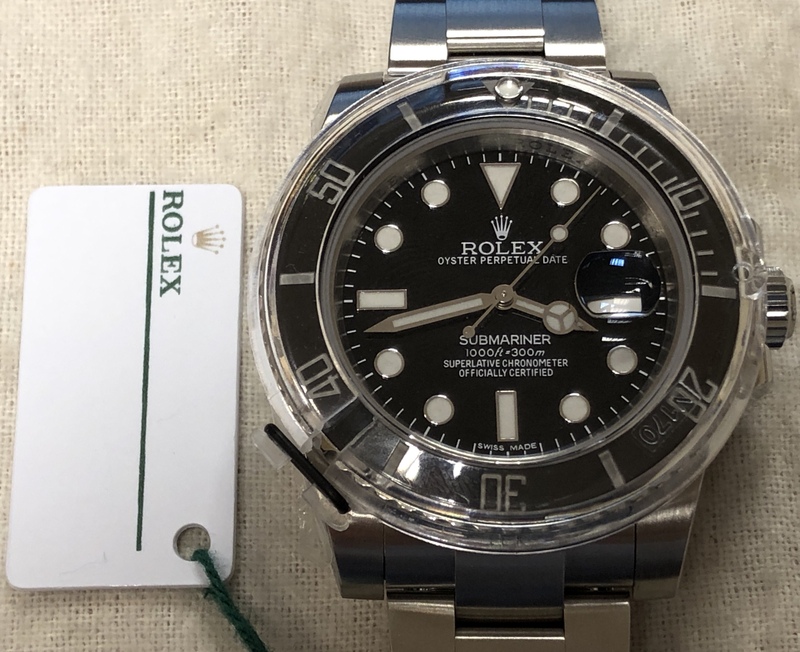 "Ultimately these super fakes are made to either be sold to people who for some reason would spend quite a large amount of money knowing it’s fake (which is silly as even the dial looks rubbish) or they’re made to deceive people that aren’t experts and may fall for the “too good to be true” deal so why not educate everyone. Reason being IMO is that experts can guarantee their stock’s authenticity and have an edge over buying private (fair enough) and authentication companies like the one in the states that people pay to sign up to can exist. " Not that I am particularly interested in Rolex , but, "quite a lot of money knowing it's fake" makes me wonder how much one of these obviously quite well made fakes cost to manufacture and , are they openly sold as "honest" copies of the originals a swell as being designed to actively fool buyers? In the classic car business it isn't uncommon for "recreations" of particularly rare models to be openly sold as such, in addition to the willfully created fakes pretending to be legit . Last edited by notnowkato; 8th February 2019 at 17:20. If every watch had a chip then I'm guessing the worst case (and I've admittedly not thought about it for long) is that they are put on to another genuine watch, and a genuine watch is left with fake parts - although I can't imagine many scenarios when that would happen. I see watches many times every week that comprise significant genuine and fake parts in one. Well, ok that’s your opinion but I still say the ‘baddies’ know exactly where they’re going wrong as they’re the ones trying to copy. The fact they don’t make them identical is not because they can’t see properly and really could do with guidance from someone with better eyesight but it’s down to their lack of resources to do so at the moment. Saying you don’t want to tell them means you believe they don’t actually know which I find a bit unrealistic to say the least. Having seen these fake watch websites a couple of years ago even the people selling them (who are amongst the baddies) will compare the watches alongside genuine examples going through the differences and showing how close they are. They certainly don’t need to rely on us to tell them. With the high end fakes they’re trying to get them as close as they possibly can. If that was someone’s job to study a genuine Rolex and reproduce it they’d sure as Hell know exactly where it wasn’t identical. I don't have any experience so can't comment. Is it not the case that fake watches that include genuine parts account form an extremely small proportion of the overall fake market? Surely economics comes into play where the cost of production begins to approach that of genuine watches? Either way I expect the technology will get to a stage and price point where all parts can be chipped in this way. Ok fair enough, if ever I do buy another Rolex, it's a quick train journey to St James. Indeed Hayward is right here. I recently made a report on a second hand gold datejust watch someone purchased from an AD, fake case, dial, bezel, bracelet, hands and crown. The movement was from a water damaged steel watch that had been broken up. The AD didn't want to know because they just assumed they couldn't be wrong. If someone is buying a fake knowingly because they want a bigger collection, test drive, stunt double, watch they’ll never justify a level of spending on, that’s their choice. Like it or it it’s another branch of this hobby. I’ve read a fair few threads on that forum and the out of the factory reps ALWAYS have significant flaws which anyone in the trade who handles genuine watches day to day should spot. The real problem is when these fakes are used by real criminals (either complete or parts) to try and dupe someone and basically steal their cash. This brings the whole secondhand market into doubt and most people (including me) who’ve bought secondhand are only going to know for absolute sure that their watch is genuine once it gets serviced. I’m afraid I can’t agree with this. The original point of a ‘brand name’ was so that the general buying public (most of us), who can’t evaluate a product easily, can still be certain of the quality without having to check anything else. The clue is in the word ‘brand’. People literally marked their produce with a hot iron, then you would know it was good because it came from that farm/carpenter etc. Faking brand names undermines that whole system, whatever the motivation, to the detriment of everyone. I don’t judge everyone who has ever bought a fake, but it’s never OK to make them. ( ..) Like it or it it’s another branch of this hobby. Can't believe I am reading such drivel here. If those other people's view is one which celebrates wholesale copyright theft, the criminal dilution of brands and investment made by others and a trade which profits full time crooks without even the tax-man receiving a penny, then many here will not respect it. Fake / "replica" forums provide a perfect echo-chamber in which the bent and self-deluded may convince themselves that their cause is acceptable. There is a simple message for the wannabes, scum-bags and their apologists. Fake off. Last edited by Haywood_Milton; 9th February 2019 at 13:12. If that’s aimed at me you are out of order. I don’t own any fakes (as far as I know!) or benefit in any way from the fake industry. You consider supporting the sales and ownership of fake watches as respectful?. There is a clear protasis and apodosis, so each can decide for himself whether it applies. By the way, one doesn’t need to own or benefit from fakes to fall within the definition. I was asking you a question.